Last week Wells Fargo announced it will sponsor the Mexican National Team for the team’s annual U.S. Tour building on the company’s July 31 announcement of a national sponsorship of Major League Soccer (MLS). 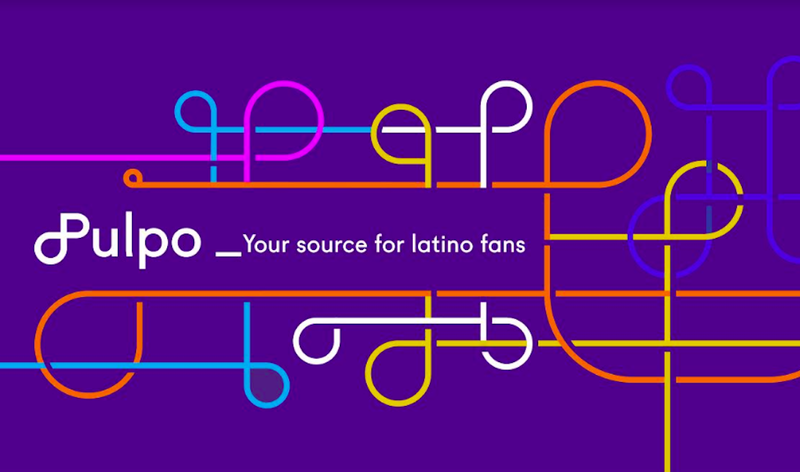 Portada talked to Mariela Ure, SVP of Wells Fargo's Hispanic Segment Strategy, on these recent sports marketing endorsements. Portada: Would you characterize the alignment with the Mexican Soccer U.S. Team as a Total Market strategy? We understand this is not only about reaching U.S. Hispanic consumers right? Mariela Ure, SVP Hispanic Segment Strategy, Wells Fargo. : "Wells Fargo is seeking to reach all soccer fans across the United States. Soccer is very popular worldwide and now one of the fastest growing sports in the U.S. This is a great opportunity to introduce and strengthen the Wells Fargo brand in the minds of soccer fans. These fans are passionate, loyal and community oriented qualities that Wells Fargo and our team members share and embody everyday as we seek to help our customers succeed financially." When it comes to the Hispanic consumer, we understand that Wells Fargo is primarily trying to reach Hispanic Small Business Owners. In what way does this sports marketing initiative help achieve that goal or does this strategy also want to reach more the Hispanic consumer? M.U. : "Our sponsorship of MLS provides a national platform for brand, product and community marketing to the estimated 90 million U.S. soccer fans, including not only fans of soccer across all communities but also two important customer segments – Millennials and Hispanics. With our coast-to-coast presence, the time was right for Wells Fargo to invest in a national sports marketing sponsorship that allows us a unique platform for engaging new and existing customers, increasing our overall brand consideration and continuing to support community initiatives in the communities where we have customers and team members." This provides an incredible opportunity to to engage with soccer fans and show them we are as passionate about their financial success as they are about their team. What media buying are you doing in conjunction with the Mexican National Soccer US Tour sponsorship? M.U. : "We are actively pursuing the opportunities that come with our sponsorship of both MLS and the Mexican National Team. We launched our support of FMF at their game against Ivory Coast on August 14 at MetLife Stadium in New Jersey. The first activation of the MLS sponsorship took place during the 2013 MLS All Star Game in Kansas City on July 31 aired on ESPN2 and UniMas. This included use of the LED Field Boards, other in-stadium advertising and participation in the MLS WORKS Community MVP award ceremony during half time. We continue to explore the best ways to connect with soccer fans across the U.S., including through community support activities and brand advertising. Annual activation and media plans will be determined year to year throughout the course of the agreement." We understand Acento is your Hispanic media buying and planning agency right? M.U. : "Yes. As is the nature for our integrated marketing model, we work with Acento and other partners to best execute on important initiatives like our sponsorships of MLS and FMF. In this case, Wells Fargo negotiated the terms of the agreement directly with Soccer United Marketing/FMF, with input from their agencies." Unilever has a similar strategy sponsoring the Mexican National Team. How does the Wells Fargo's strategy differentiate itself? M.U. : "Wells Fargo is not only the sponsor of the Mexican National Team for their U.S.-based soccer matches, but also the exclusive retail banking and commercial lending sponsor of Major League Soccer (MLS) which provides an incredible opportunity to engage with soccer fans and show them we are as passionate about their financial success as they are about their team. In addition to the sponsorship Wells Fargo is working together with MLS on community support programs, including the MLS Works Community MVP program. One Community MVP is selected to represent each of the 19 MLS clubs based on their efforts in the areas of social issues, health issues and community service."